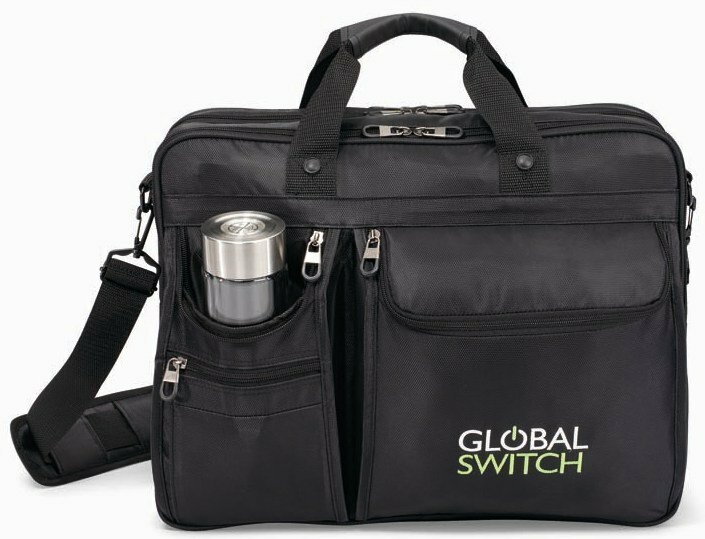 Be in the forefront utilizing the Vanguard Pro laptop bag for a laptop bag with your logo for promotional gifts. Applications include business professionals of all kinds including technology, medical, educational related. zippered pocket for tablet or e-reader, extra zippered pockets, double handles, shoulder strap. Overall size of the Vanguard Pro laptop bag is 17" w x 13" h x 6" d.
Price includes a one color imprint on the front in an area 6" w x 4 1/2" h.